USB is one of the most widely used computer expansion interfaces. However, a majority of the current USB-interface capture card can only capture SD signals. XI104XUSB innovatively adopts USB 3.0 interface. It can achieve high-speed transmission and simultaneously capture 1 HD and quad A/V signals. You can get the power from the computer directly without connecting to heavy power adapters, and it's easy to carry. By this easy-to-carry device, you can capture high-quality uncompressed 1080HD video. The XI104XUSB can connect to USB 3.0 interface which is switched by the PCI Express interface in the notebook, and meanwhile the XI104XUSB can connect to USB 2.0 interface only to get lower image frame rate. The mobile live recording solution is well received by a majority of customer for its low investment and high utilizing rate. The current mobile live recording has entered the age of USB 3.0 interface. XI104XUSB adopts USB 3.0 interface. One single device can simultaneously capture 1 1080p60 HD video and quad D1@30fps video signal, which contributes to a brand new live recording system. You just need to connect the USB 3.0 interface by the USB cable, run the live recording software, and then you will realize your individual requirements. You can record the courseware, teacher's and students' image by one XI104XUSB. You can carry it to events and establish a live recording environment. You can put the whole live recording system in the notebook bag. By XI104XUSB, you can capture SD or HD videos signals. 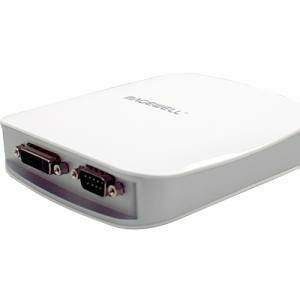 You can connect it to HD digital signal devices, like DVI, HDMI, or you can connect it to HD analog signal devices, like VGA or component signals. Meanwhile, XI104XUSB can capture quad A/V signal. You just need a notebook and connect the XI104XUSB to the USB 3.0 interface, then you can capture various kinds of signals. You can scale or clip the HD and SD input signals, which satisfies your individual requirements and bring personalized experience. It has the function of adjusting colors, which can adjust the image contrast, brightness, color saturation, hue and Gamma. The brightness and contrast of R, G, B can be set separately, and it provides motion-adaptive de-interlacing. The moving image will have not the phenomenon of trailing, which ensures a clearer moving image. It adopts AD converter with the sample precision rate at 10 bits. The image details are colorful with a high signal noise rate which reduces the color edges to the maximum extent. It has the best capability of automatically detecting the resolution of input VGA, and adjusting it to the best parameters, including automatic timing detection and phase detection. The VGA automatic timing detection supports the following timing standards: GTF/CEA/DMT/IBM PC/Apple/VESA. For input signals which do not meet specific timing standards, it will improve and adjust via image analysis algorithm. The automatic phase adjustment can adjust the image to the clearest state automatically. You no longer bother to set manually in order to get your capture image to the best level. XI104XUSB can simultaneously capture 1 1080p60 HD video and quad D1@30fps. The frames will not lose and the image will not have the phenomenon of drawing. The color space switch, image processing like image mirror, scale, de-interlace will be done within FPGA. It largely reduces the CPU.